Expert guidance including a Welcome Guide & What to Wear Guide to help you prepare for your session. Phone Consultation to tailor your session around you and your family. Photo Session of 1 - 2 hours at home and/or the location of your choice. Order Session at your home about 2 weeks later, usually in the evening after kids are asleep to make it easiest for you. 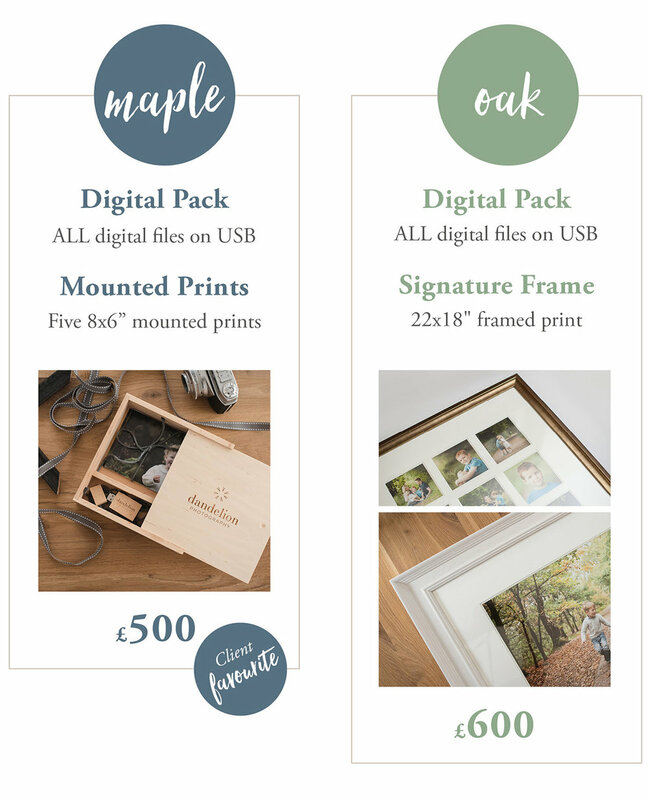 Your session fee does not include any products such as digital images, prints or frames. Products and collections are purchased separately at your Order Session, prices below. Weekday sessions are great for preschoolers and school holidays. Weekend session fee applies on Saturdays, Sundays and bank holidays. Collections are purchased separately at your Order Session. All my collections include digital images so you can keep your images safe forever and print them as often and as large as you wish. Parents are busy people. Let's face it - it might be months, even years, before you get around to printing, let alone framing, your images. I want you to start enjoying your images right away so that's why I encourage you to include some mounted or framed images in your choice. My pricing clear and simple - there are no hidden surprises, because I want all my clients to be 100% delighted. You can download my complete price guide below.